About a year after Wood’s condemnation of contemporary fiction first appeared in The New Republic, The Corrections was published. 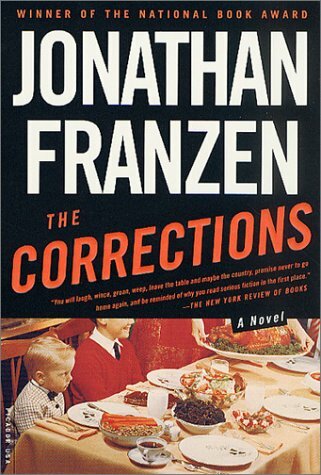 Jonathan Franzen’s novel certainly does not lack the kind of ambition Wood talks about: The Corrections spans cities, countries, and continents, covers multiple generations, deals with financial disasters and Eastern European political instability, looks at modern academia and middle-class suburbia. In short, the book does seem to know a thousand things.